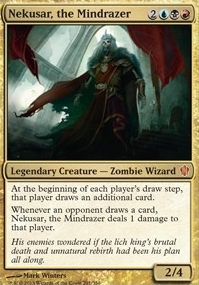 Nekusar, the Mindrazer ($3.99) Price History from major stores - Commander 2013 - MTGPrice.com Values for Ebay, Amazon and hobby stores! Card Text: At the beginning of each player's draw step, that player draws an additional card. 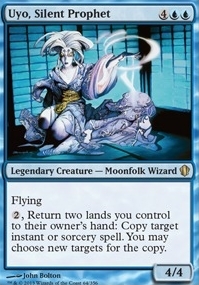 Whenever an opponent draws a card, Nekusar, the Mindrazer deals 1 damage to that player. Flavor Text: His enemies wondered if the lich king's brutal death and unnatural rebirth had been his plan all along.